The Jerseys small body size and impressive metabolic system is something we must emphasize. It’s an attribute that makes the breed economically viable. Jerseys are incredibly efficient feed converters compared with other breeds. Studies claim that Jerseys save 13-18% in total feed expenses as they have the unique biological ability to utilize the energy in feed for milk production, rather than expelling it as waste. With feed costs representing approximately 55% of the input in your dairy operation, this can be a significant savings. When a Jersey is in production, she will injest up to 4.5% of her total body weight in dry matter. For the average 450 kg Jersey cow, this works out to 20.25 kg of dry matter per day in her ration. In comparison, larger dairy breeds consume 4.0% of their total body weight in dry matter and a 700 kg cow would eat 28 kg of dry matter per day. Going one step further, if you look at the kilograms of milk solids produced per kilogram of body weight in 305 days, the 450 kg Jersey comes in at 1.23 solids/kg, while the 700 kg cow would produce 0.97 solids/kg. 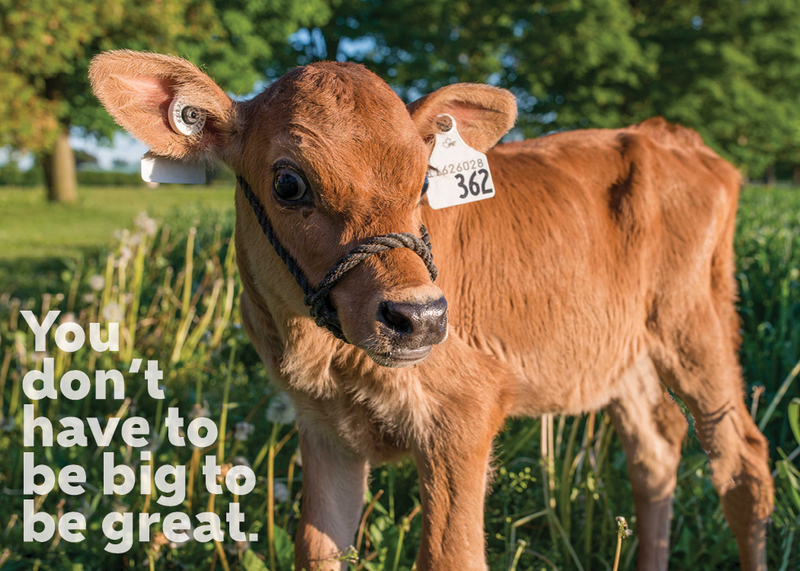 It is reasonable to expect that the stall size for Jersey's will be smaller than what is required for larger cows. Read more about our recommendations for the ideal stall size to keep your Jerseys comfortable, safe and productive. As dairy producers look for solutions to overcome labour challenges, robotic milking systems continue to grow and represented approximately 10% of Canadian dairy barns - and this number is growing rapidly! Jersey cows adapt quickly to robots due to their curious nature. They set a great example and are often leaders when transitioning a herd to a robotic environment. Our producers report that Jerseys coexist well with larger breeds in a freestall environment. In fact, they tell us that their assertive yet well-balanced character brings them first to the feedbunk.